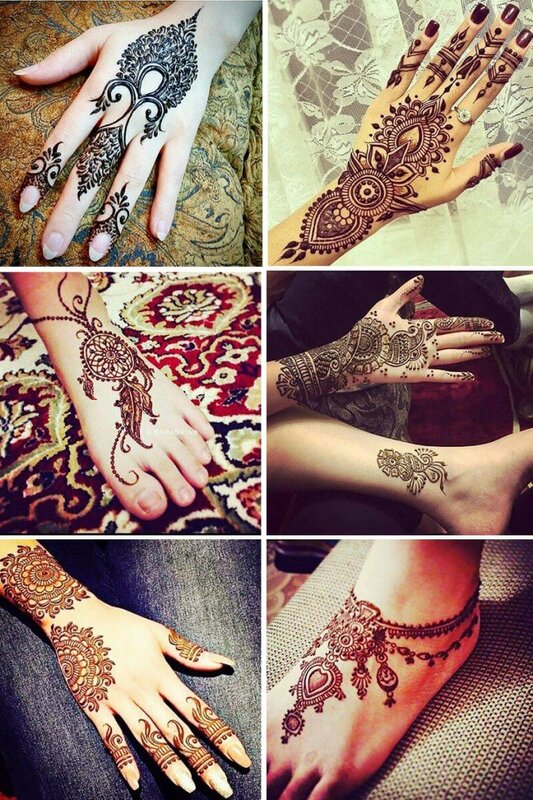 Compilation of all Mehendi Designs in India and Pakistan. 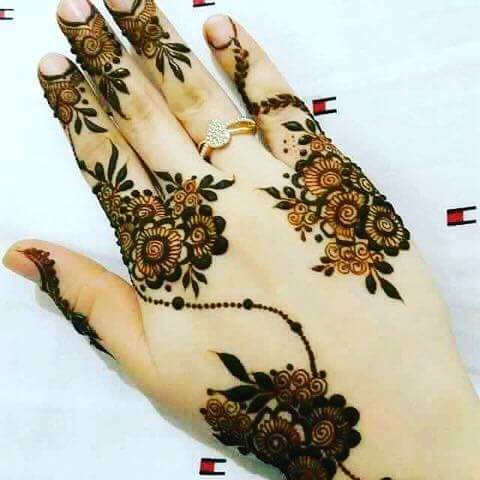 Want to show ethnic look for yourself indeed, you have a world of your imagination, a world where you only can rule, of course, the world which belongs to you only and you are only the queens of the land. 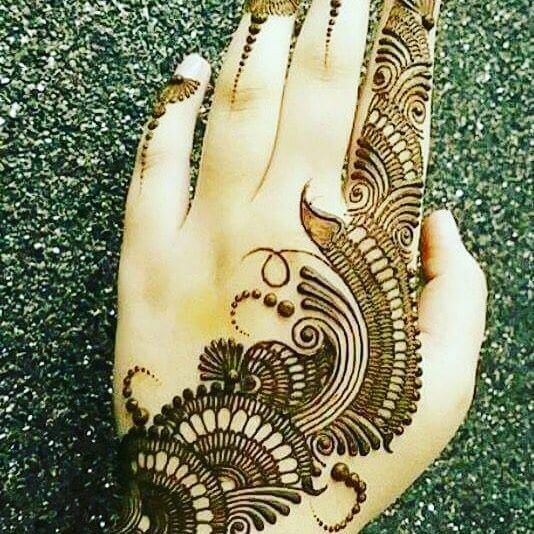 Only natural and long-lasting beauty of your outer self actually lies in the simplicity of your inner self of any girl or woman. 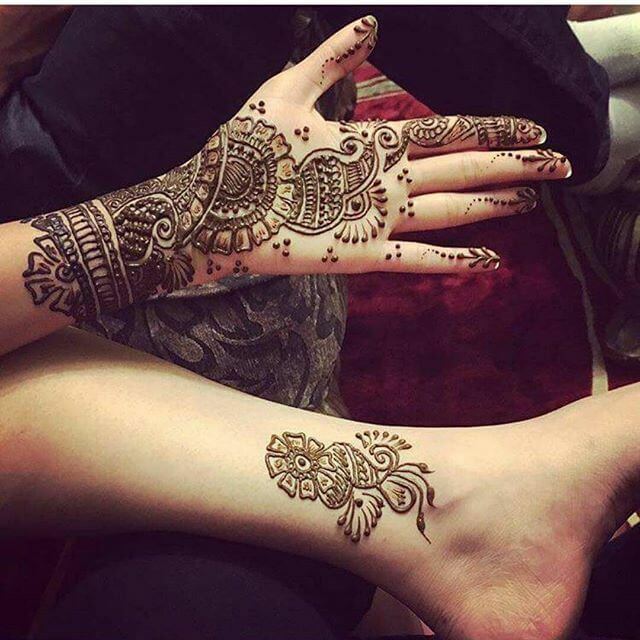 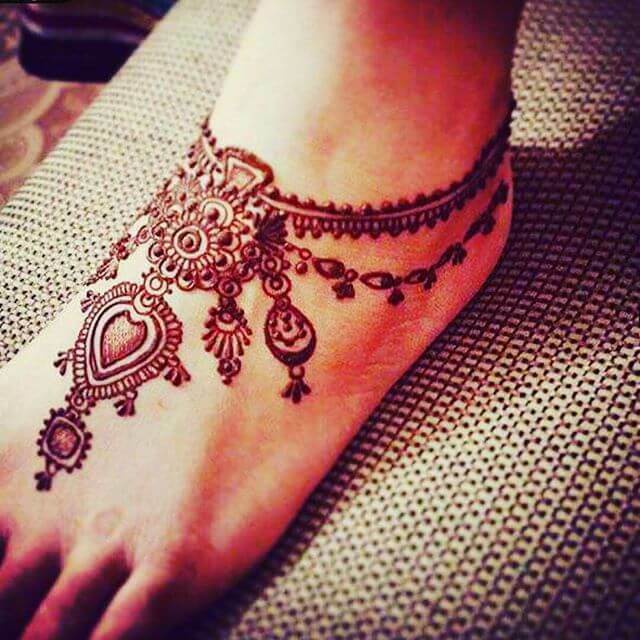 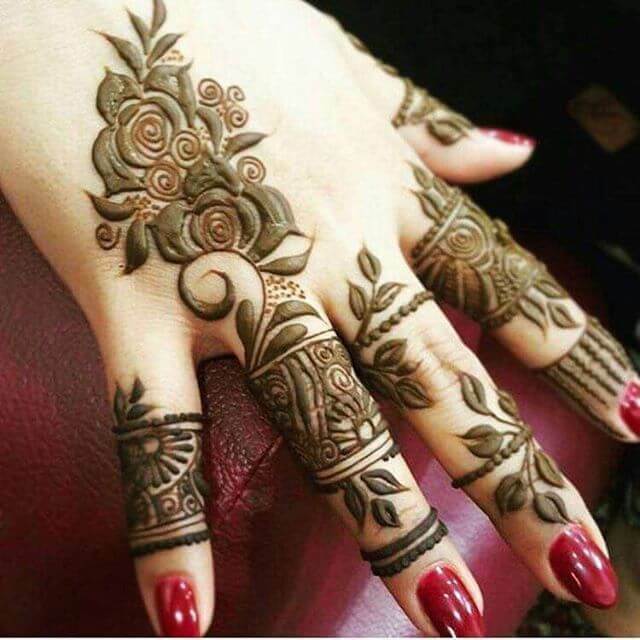 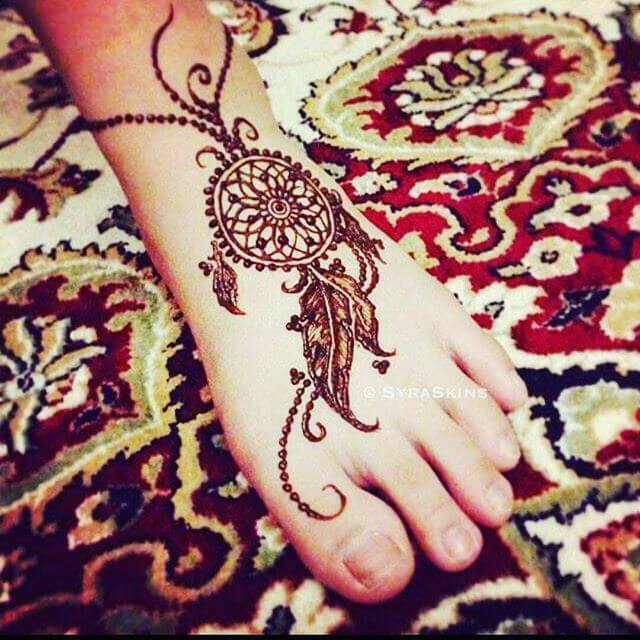 The ladies of various nations know the extraordinary significance of mehndi designs in their lives and they always consider and connected it to their hands and feet to give a stunning look to their excellence. 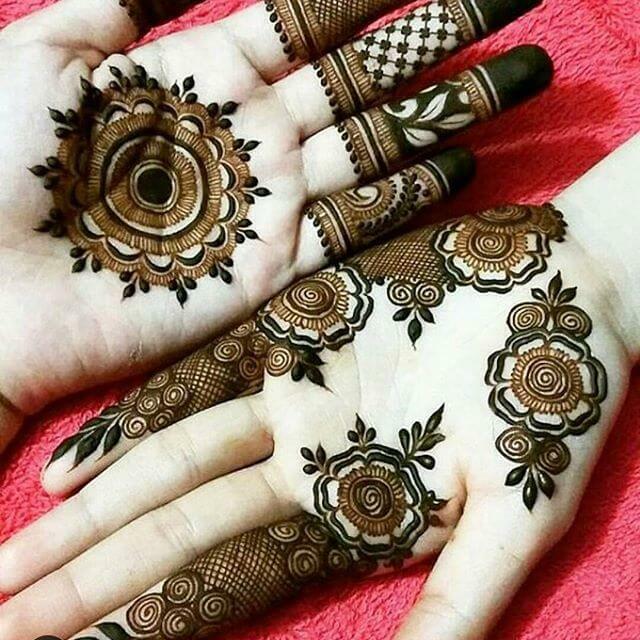 The Mehendi is actually gotten by the amalgamation of turmeric and Henna glue in HINDU culture. 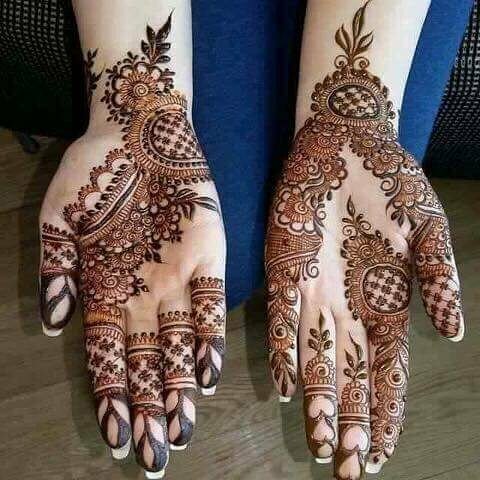 The Indian brides were adored themselves by the Ubhttan mixed with Red roses petals, the fragrance of Mehendi arouse the sensuousness feelings and appealing everyone could not able to stay away to had a look at the bride with all her dress to jewelry and perfect elegant designs of Mehndi wrapping RED tips fingers and feet looked amazingly adorable. 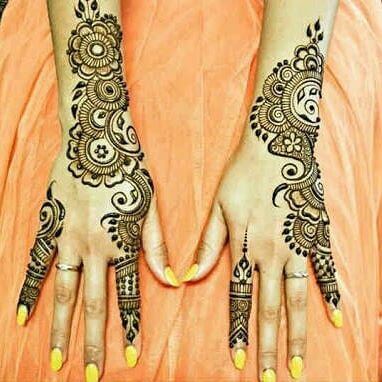 Bridal lehnga or sari preparations are incomplete without mehndi patterns on the parts of the soft and smooth body. 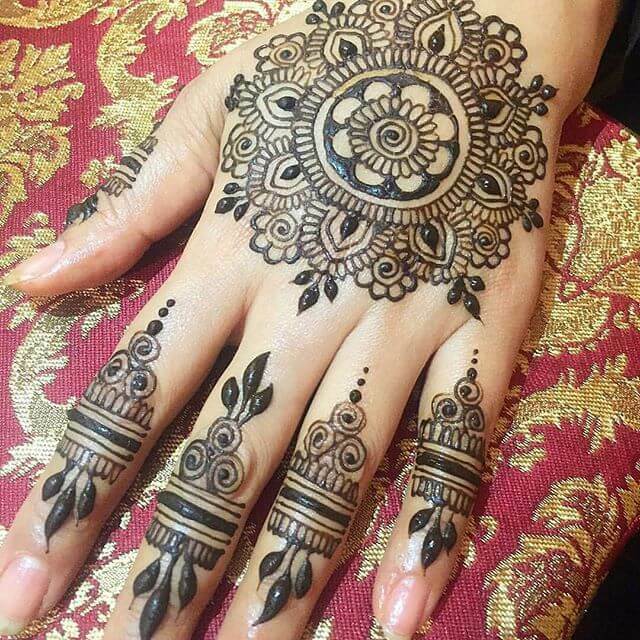 A finger mehndi designs and patterns have been improving nowadays. 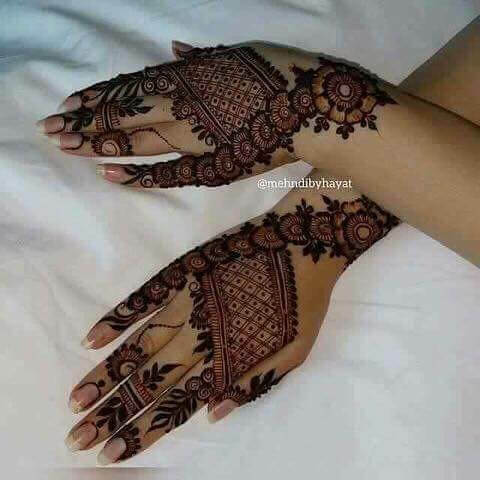 Everyone realizes that it is the changeless approach to beautify your skin for truly finger mehndi is Art and needs more consideration for more improvements with the definite pattern from simpler to complex. 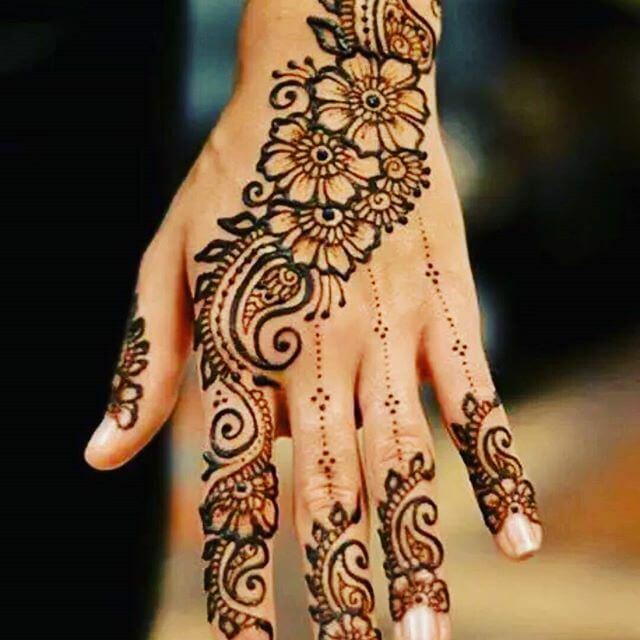 If you are searching your today’s plans to intend up and coming celebration and events for yourselves. 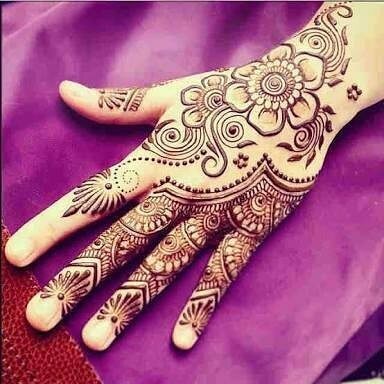 A perfect finger Mehendi and other half and full hand trendy mehendi designs must influence you to look more charming and beautiful. 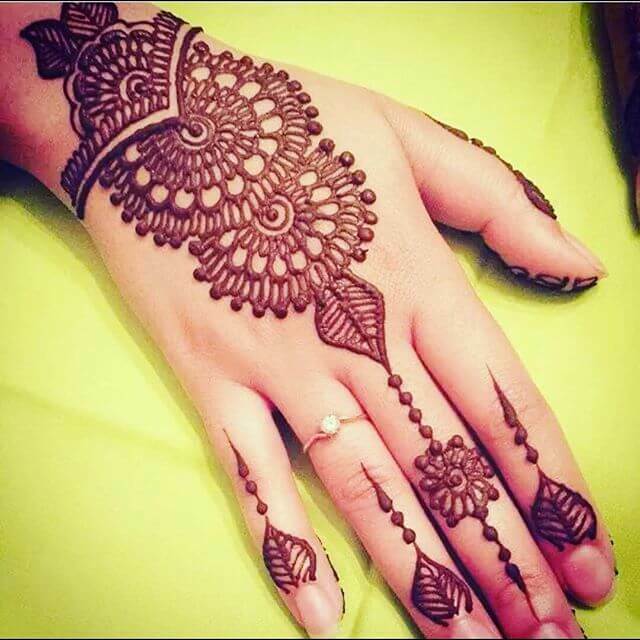 Explore these dynamite finger Mehendi designs for yourself and select the best style. 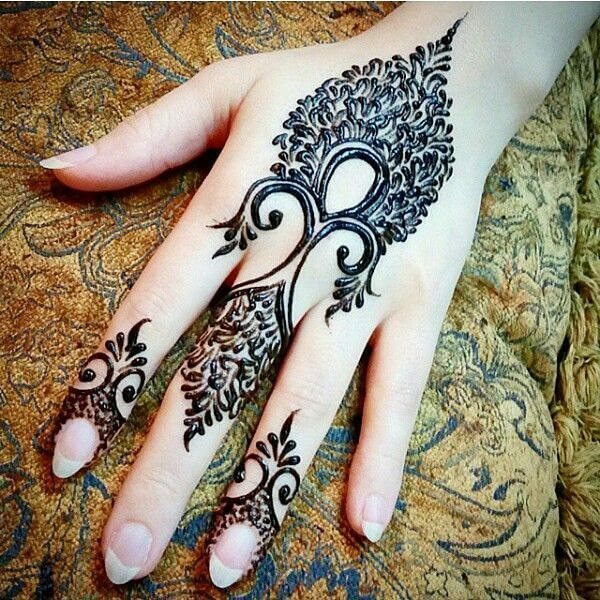 With a little effort and creativity, you can get an exquisite design for your hands. 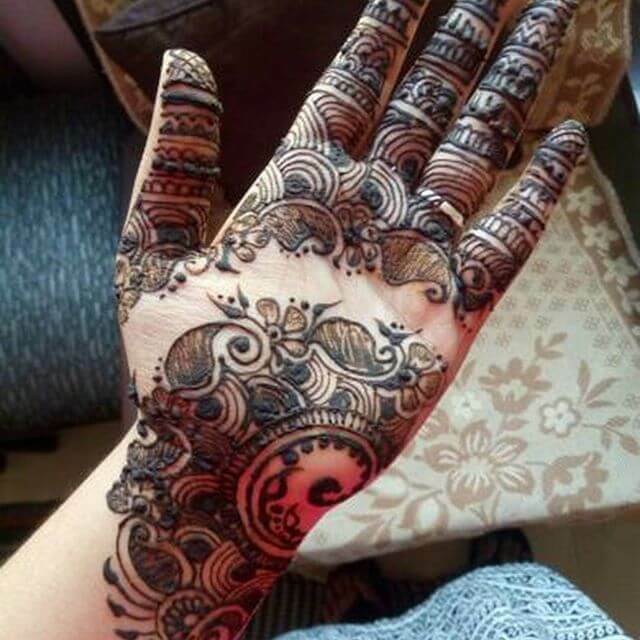 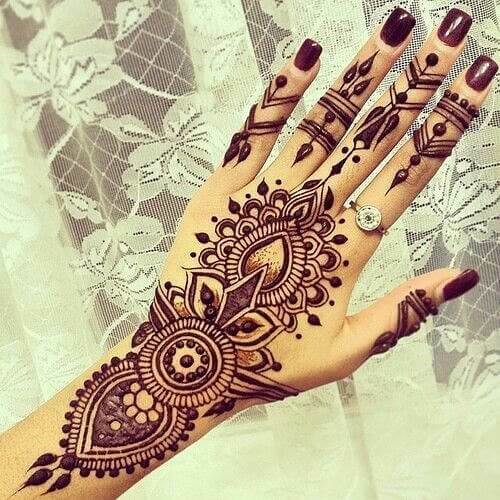 This design is as simple as easy to wear at home by using black color toned Mehendi. 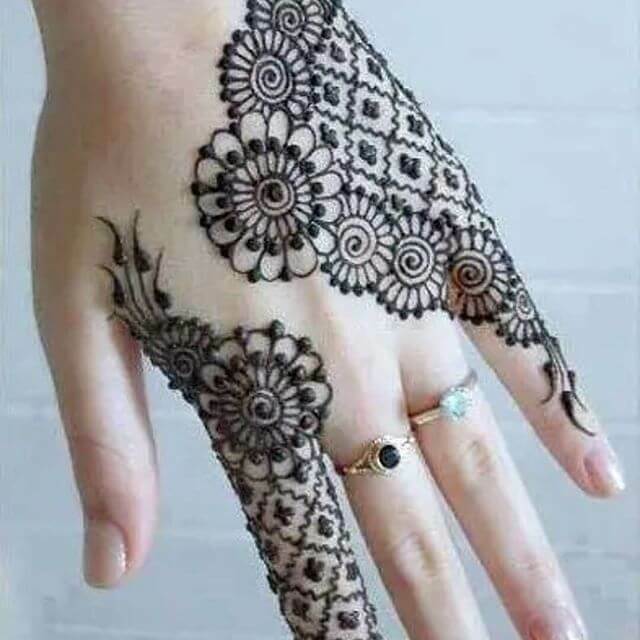 It's swirling and amazing looking at the full finger and can make a floral look. 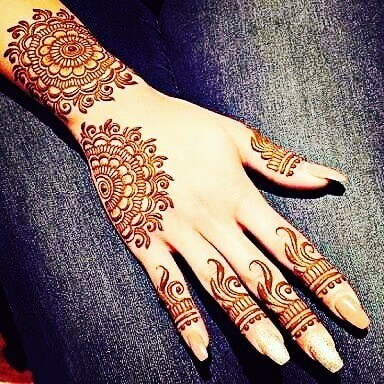 This simple design art looks conventional, closes at the wrist to the half arm. 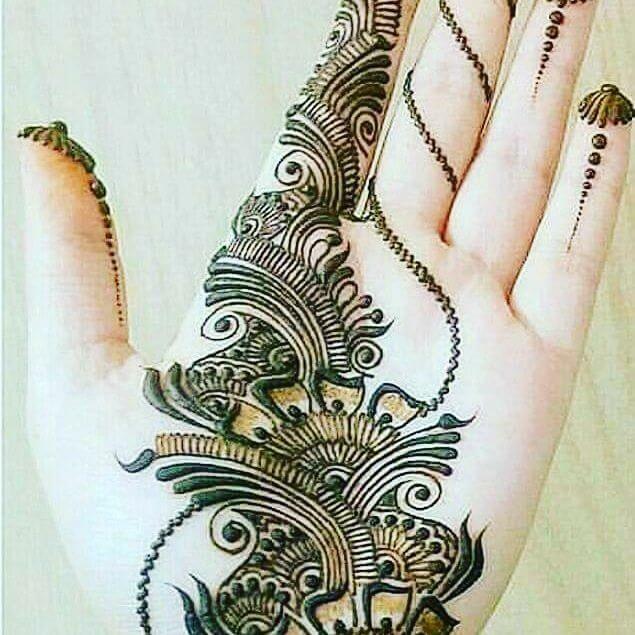 This can be applied on front hand as well. 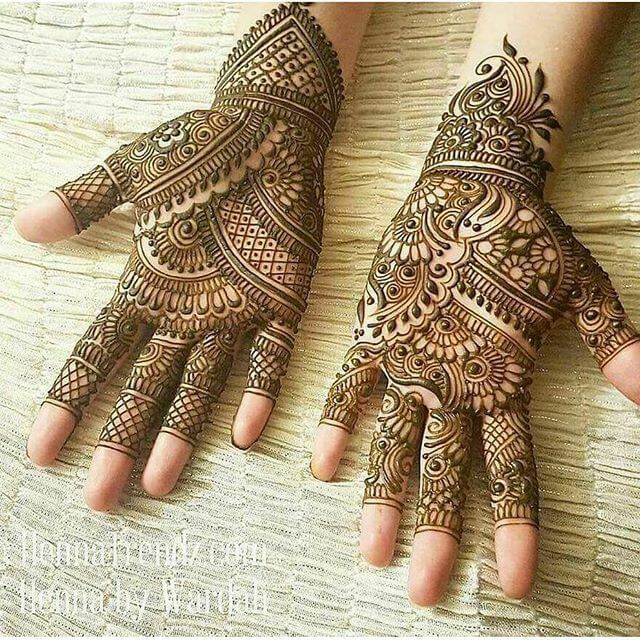 This is the perfect designs for wedding functions, bridal sisters, near and dear ones to adore themselves by the beautiful patterns and motifs on hands and any part of the body.